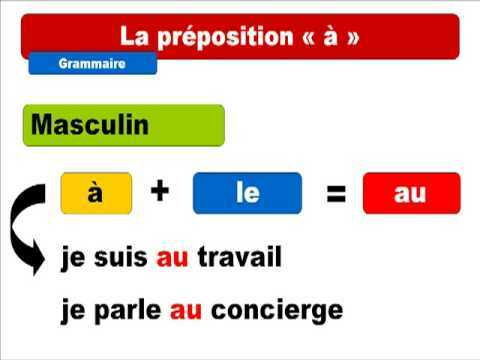 With locations, you will use the preposition à = to/in + [a place] and de = from + [a place]. 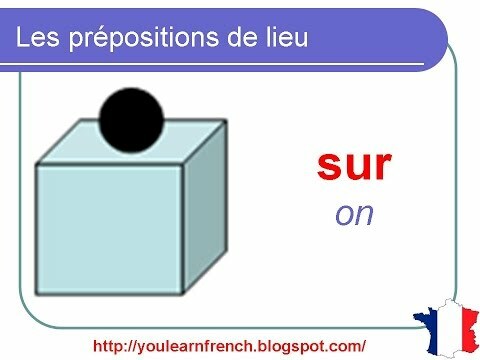 However, when followed by the definite articles le or les, these prepositions "contract" with them to form one word. à + l' (no contraction) Je vais à l'hôtel. I'm coming from the market. I come from the Netherlands. Je vais à la poste. I'm going to the hotel. Je viens de la piscine. I come from the swimming pool. Je viens de l'auberge de jeunesse. I'm coming from the hostel. Les cloches de la nuit. She goes to the restaurant. They're coming from the cinema. Nous allons à la boulangerie. We are going to the bakery. Alain va à la maison. They're coming home from the restaurant. Is that wrong? Perhaps you can't have two infinitives together? I thought faire des was the way to express going shopping. how to differenciate between partitif and contracte articles???? How do I type accents, please? Have you had a look at the FAQ’s which has a section on accents? so, basically, you just press and hold let's say, for example, e. You press e and hold it, four options will appear you can choose any one option according to the sentence. Many thanks. I’ve now got it! How do we know when "de" refers to "from" or partitive article "some"? For example: "Marie achète du café"
Le café is a location and a drink. Couldn't this sentence means both "Marie buys a coffee" and "Marie buys from the cafe"? How do we know when "de" refers to "from" and when it refers to "some"? The use of ‘acheter’ can only mean she is a shop and buying some coffee. Think of what makes more sense in the context you, the exam, or the person you are talking with uses it. Why is it "nous partirons à la chasse aux friandises rather than "des friandaise"? Can one say passer par le supermarché as well as au supermarché? Are u plannin to add teachin videos for every lesoon? What is your question Ergun?